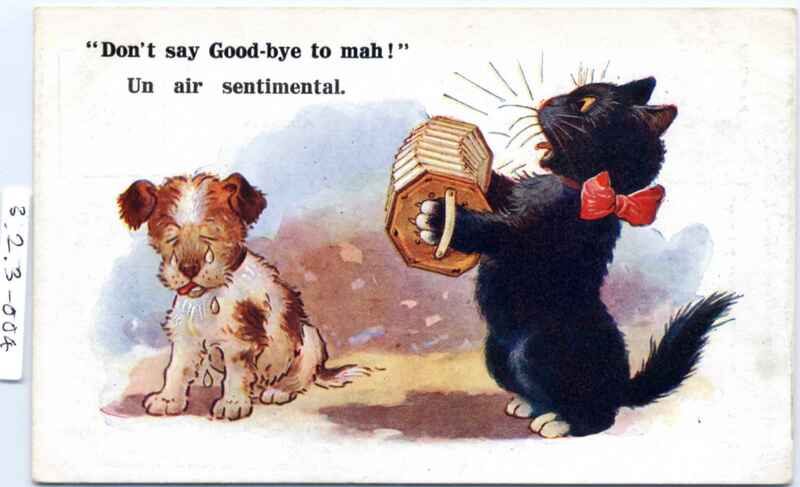 Full Description: A British colour-print post card of a cat serenading a crying puppy, “Don’t say goodbye to Mah”, and additional French over-printed motto “Un Air sentimental”. Divided rear, “Inter Art Co, Comique Series No 4322”. Image also used on 3.2.3-003 and 3.2.3-001. Sent from Paris.